You have a choice of different types of bicycles both for your guided group tour or your self-guided cycling tour. Additionally, if you want to rent bikes for independent bike hire – no problem. We will deliver to your accommodation around Galway and collect the bikes from various depots in Galway, Ennis, Westport, Clifden. Thus, you can design your own bicycle holiday in the West of Ireland in the knowledge that a high quality bicycle will be available for rent. 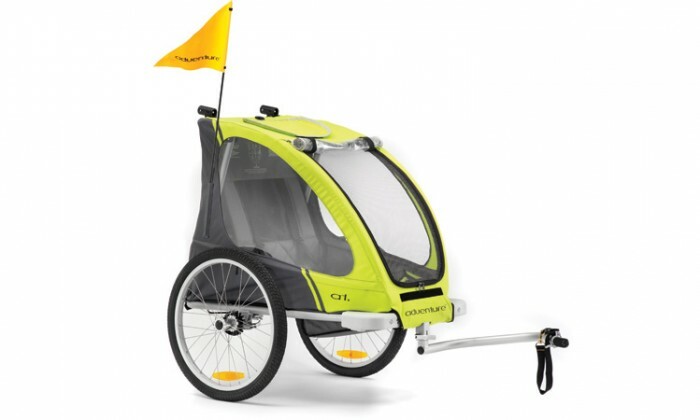 Touring bikes are typically robust, comfortable bikes designed to handle loaded pannier bags and distances without your legs and arms feeling tired. Weighing in at only 13.1kg (28lbs. 13oz.) despite its full all purpose equipment, these will give you a quick, sporty ride and they come with Deore gearing, giving you a smooth riding experience. These bicycles are available also in lady’s frames. 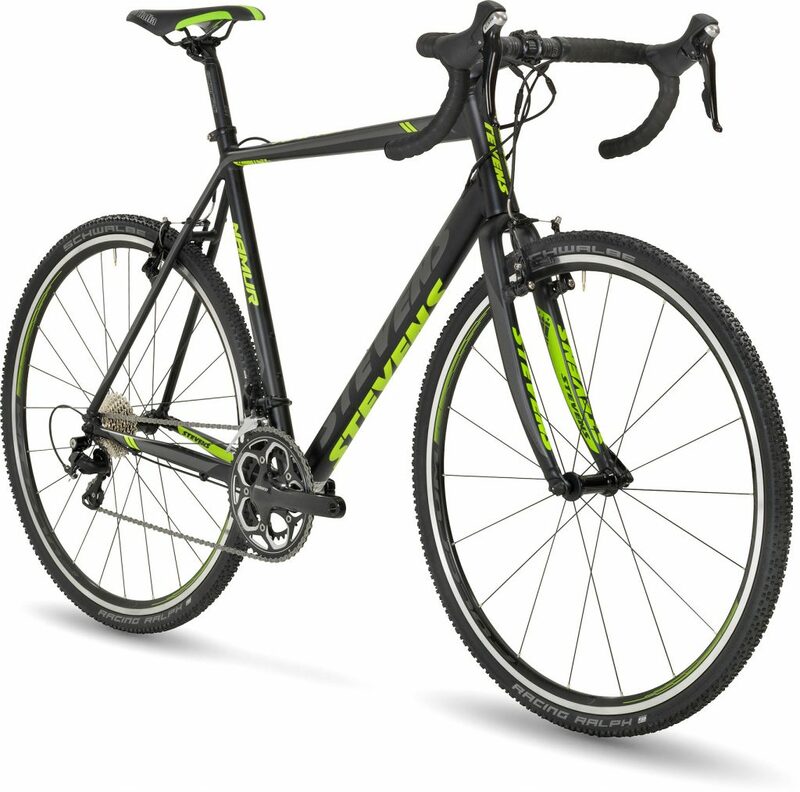 Hybrid bikes are designed to be lighter than a mountain bike but sturdier than a road bike, and can handle with comfort the sometimes bumpy road surfaces of Ireland. 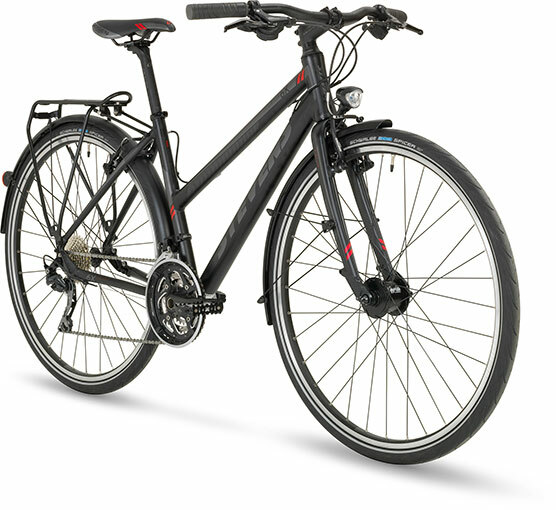 The hybrid’s relaxed riding style with a flat handle bar is designed to give stability and get you rolling in both comfort and the narrower tyres allow for good speed. A hybrid rental could be a good fit if you’re planning on joining us for a guided or self-guided cycle tour, or you’ve got your eye on exploring the West of Ireland on your own plan. They are able to carry reasonably loaded pannier bags. Stevens frames are synonymous with quality and the Gavere is no different. Shimano’s 105 11-speed gruppo with compact cranks is an all-round carefree package for any type of terrain. Thanks to the powerful Tektro disc brakes, you’re always in control in all terrain and weather conditions. The geometry of the Gavere is relaxed and allows for a smooth ride, with the frame doing an excellent job of ironing out imperfections and bumps. The bicycles have been fitted with a back rack to carry a small rack bag for the extra few bits and pieces you may want to carry on a day in the saddle. 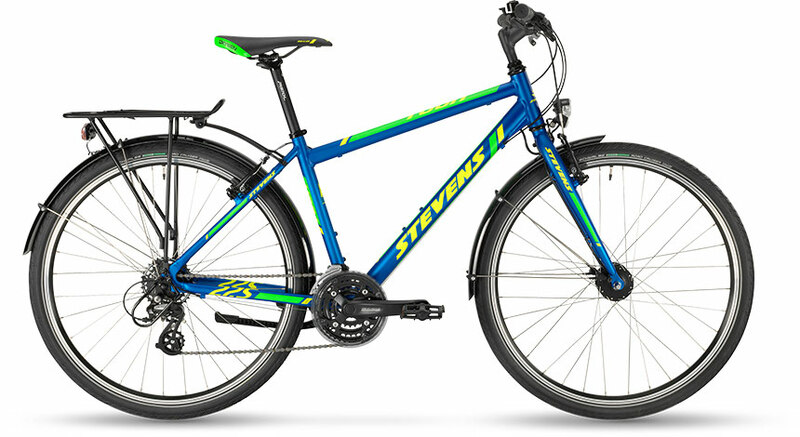 The quality of our bikes continues with the Stevens Namur. Shimano’s 105 11-speed gruppo with compact cranks is an all-round carefree package for any type of terrain. 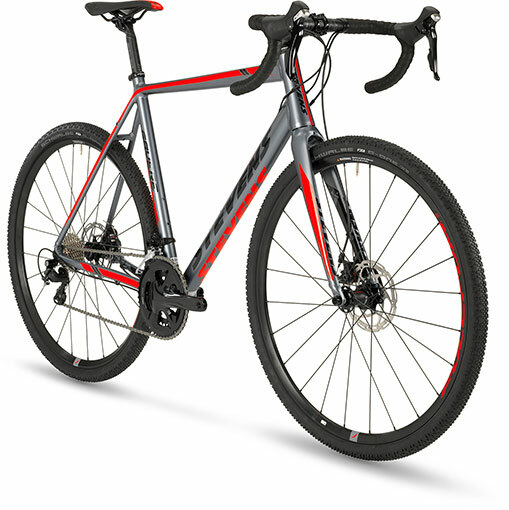 Fulcrum Wheelset and Oxygen RX6 V-Brakes make for great braking and assured contact with the road. The geometry of the Namur is relaxed and allows for a smooth ride, with the frame doing an excellent job of ironing out imperfections and bumps. Suited to the more experienced cyclist and built for racing and riding at speed, these bikes are still comfortable enough to ride all day. Keen cyclists might prefer to bring their own seat and pedals, to make the bike really feel like home. 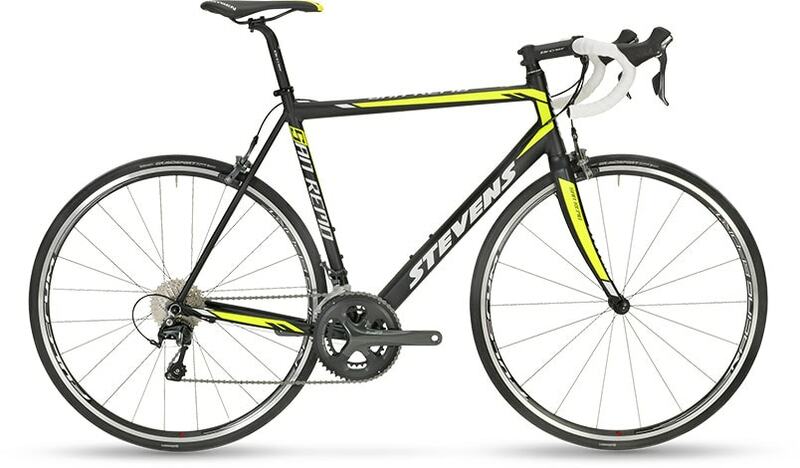 For 2018 we are stocking a full compliment of Stevens road bicycles. If you ever had to ride a wobbly frame, you will appreciate the reassuring stiffness of this bike. Its stiff butted aluminium frame and carbon fork are designed to work in perfect harmony to produce a tuned balance of stiffness and comfort. Completed with Shimano’s Tiagra 2×10 speed compact groupset, a shiny black Oxygen cockpit and elegantly hidden cables, the San Remo offers a wonderful cycling experience. Two’s company so what better way to get out and about than on a tandem? 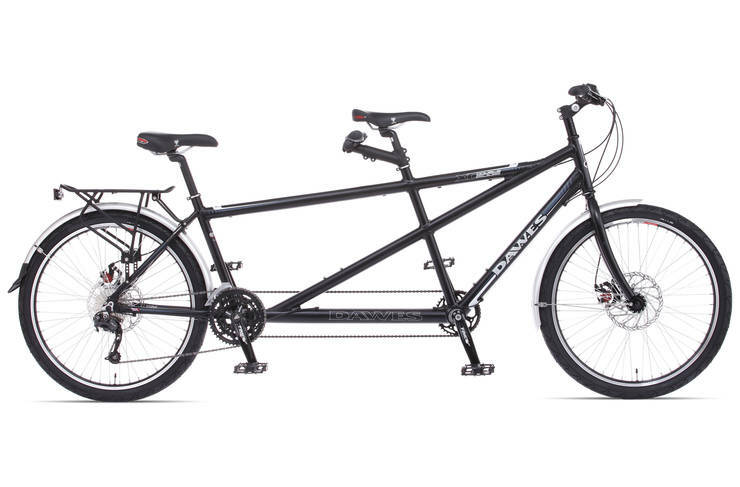 Tandem riding continues to grow in popularity as people come to realize the joy of riding together. We are pleased to offer electric bikes as an option on our tours. Jump on your bike, hit the “on” switch, start pedaling – and you’re off. Electric bikes give you all the freedom and benefits of cycling, with a little extra assistance. The result is less sweat, more miles and all the health benefits of life on two wheels. 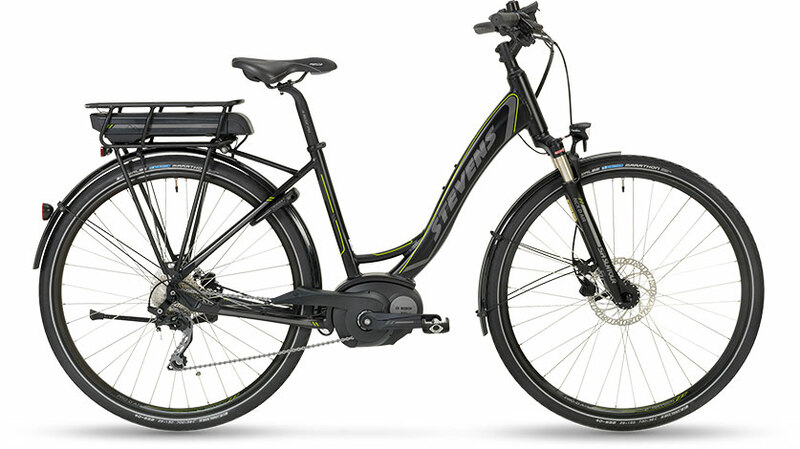 Hiring an E-bike also gives the advantage that some in the group may opt for standard bikes whilst others will be assisted. 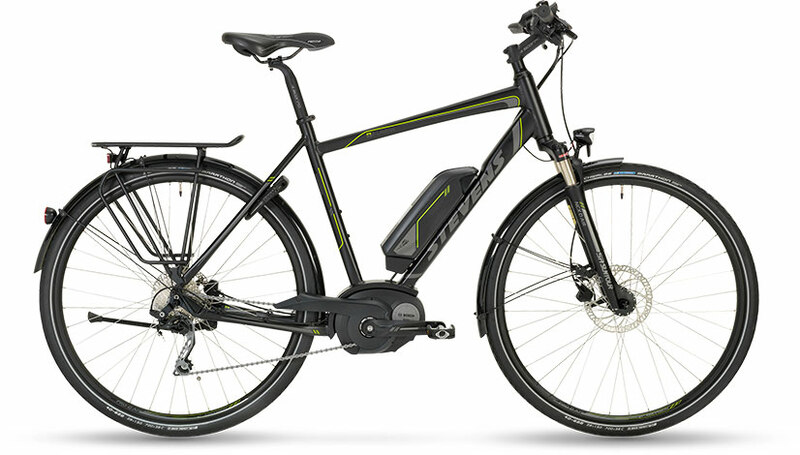 An E-bike is much like a regular bicycle. The electric motor only provides assistance. You pedal normally and just use the motor to help out when you would otherwise struggle against a headwind or be going uphill, or use the motor all the time just to make riding easier. We’re currently offer two brands, both capable of handling the daily distances with ease. 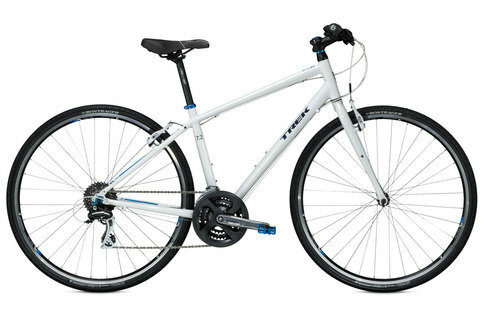 They do come with step-through frame as well as standard frames and sizes range from XS to L.
For the 6 – 14-year-old we have bikes in a range of sizes up to small sized adults bikes. 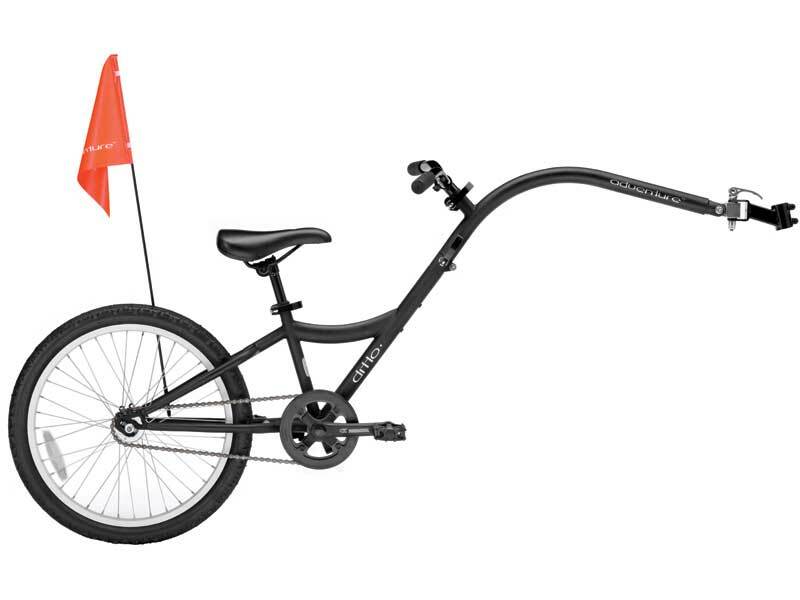 For kids who want a little help, we have the option of our xs kids bikes being fitted with a trail gator system, allowing them to cycle independently or be attached to their parent’s bike. 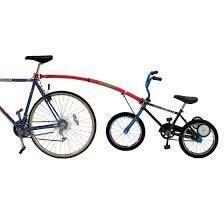 The perfect solution if you are planning a longer ride where the young ones are going to get tired. The tag a long attaches easily to the seat post, and the child can pedal when they want to. Nobody likes to be left at home. But, if their legs are just too short to reach the pedals there is no reason why they can’t still tag along. Safe and sturdy these trailers have seat-belts and roll-cages to protect young minds from the tarmac in the unlikely chance of an accident.